Interamerican Motor Corporation (IMC) of Canoga Park, CA, hired Lawson Design to create a distinctive branding style that could be applied to a developing line of private-label automotive parts. They already had an established corporate image using red, white, and blue which was well known in the marketplace. 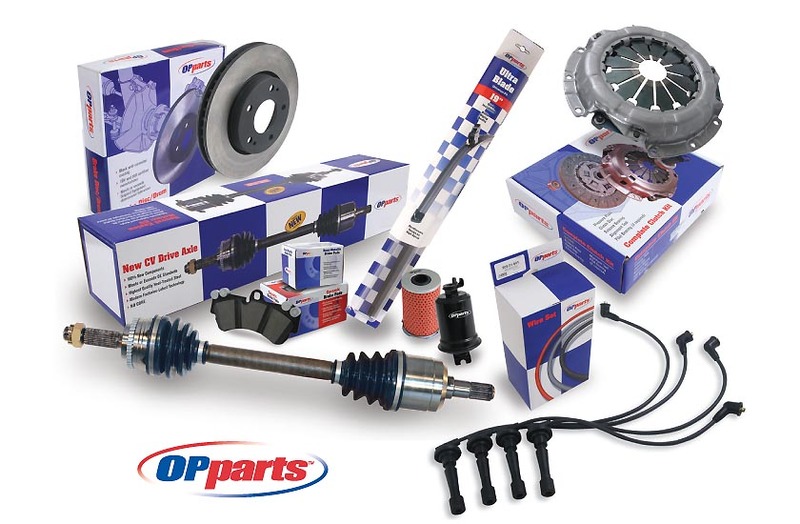 The equity of their reputation in the industry was deemed to be highly important to success of the launch of the new OP parts line to prospective parts retailers. The racing checkerboard pattern of the packaging created a shelf presence that was unmistakable.